March 21 is the 80th day of the year(81st in leap years) in the Gregorian calendar.There are 285 days remaining until the end of the year. In astrology, the day of the equinox is the first full day of the sign of Aries. It is also the traditional first day of the astrological year. In the 21st century, the equinox usually occurs on March 19 or 20; it occurred on March 21 only in 2003 and 2007. The next year in which the equinox occurs on March 21 will be 2102. Astrology is a pseudoscience that claims to divine information about human affairs and terrestrial events by studying the movements and relative positions of celestial objects. Astrology has been dated to at least the 2nd millennium BCE, and has its roots in calendrical systems used to predict seasonal shifts and to interpret celestial cycles as signs of divine communications. Many cultures have attached importance to astronomical events, and some—such as the Hindus, Chinese, and the Maya—developed elaborate systems for predicting terrestrial events from celestial observations. Western astrology, one of the oldest astrological systems still in use, can trace its roots to 19th–17th century BCE Mesopotamia, from which it spread to Ancient Greece, Rome, the Arab world and eventually Central and Western Europe. Contemporary Western astrology is often associated with systems of horoscopes that purport to explain aspects of a person's personality and predict significant events in their lives based on the positions of celestial objects; the majority of professional astrologers rely on such systems. An equinox is commonly regarded as the instant of time when the plane of Earth's equator passes through the center of the Sun. This occurs twice each year: around 20 March and 23 September. In other words, it is the moment at which the center of the visible Sun is directly above the Equator. Aries (♈) is the first astrological sign in the zodiac, spanning the first 30 degrees of celestial longitude. Under the tropical zodiac, the Sun transits this sign from approximately March 20 to April 21 each year. This time duration is exactly the first month of the Solar Hijri calendar (Hamal/Farvardin/Wray). The symbol of the ram is based on the Chrysomallus, the flying ram that provided the Golden Fleece. 537 – Siege of Rome: King Vitiges attempts to assault the northern and eastern city walls, but is repulsed at the Praenestine Gate, known as the Vivarium , by the defenders under the Byzantine generals Bessas and Peranius. 630 – Emperor Heraclius returns the True Cross, one of the holiest Christian relics, to Jerusalem. 717 – Battle of Vincy between Charles Martel and Ragenfrid. 1152 – Annulment of the marriage of King Louis VII of France and Queen Eleanor of Aquitaine. 1188 – Emperor Antoku accedes to the throne of Japan. 1800 – With the church leadership driven out of Rome during an armed conflict, Pius VII is crowned Pope in Venice with a temporary papal tiara made of papier-mâché. 1801 – The Battle of Alexandria is fought between British and French forces near the ruins of Nicopolis near Alexandria in Egypt. 1804 – Code Napoléon is adopted as French civil law. 1814 – Napoleonic Wars: Austrian forces repel French troops in the Battle of Arcis-sur-Aube. 1844 – The Bahá'í calendar begins. This is the first day of the first year of the Bahá'í calendar. It is annually celebrated by members of the Bahá'í Faith as the Bahá'í New Year or Náw-Rúz. 1861 – Alexander Stephens gives the Cornerstone Speech. 1871 – Otto von Bismarck is appointed as the first Chancellor of the German Empire. 1871 – Journalist Henry Morton Stanley begins his trek to find the missionary and explorer David Livingstone. 1913 – Over 360 are killed and 20,000 homes destroyed in the Great Dayton Flood in Dayton, Ohio. 1918 – World War I: The first phase of the German Spring Offensive, Operation Michael, begins. 1919 – The Hungarian Soviet Republic is established becoming the first Communist government to be formed in Europe after the October Revolution in Russia. 1921 – The New Economic Policy is implemented by the Bolshevik Party in response to the economic failure as a result of war communism. 1925 – The Butler Act prohibits the teaching of human evolution in Tennessee. 1925 – Syngman Rhee is removed from office after being impeached as the President of the Provisional Government of the Republic of Korea. 1928 – Charles Lindbergh is presented with the Medal of Honor for the first solo trans-Atlantic flight. 1935 – Shah of Iran Reza Shah Pahlavi formally asks the international community to call Persia by its native name, Iran . 1937 – Ponce massacre: Nineteen people in Ponce, Puerto Rico are gunned down by police acting on orders of the US-appointed Governor, Blanton C. Winship. 1943 – Wehrmacht officer Rudolf von Gersdorff plots to assassinate Adolf Hitler by using a suicide bomb, but the plan falls through; von Gersdorff is able to defuse the bomb in time and avoid suspicion. 1945 – World War II: British troops liberate Mandalay, Burma. 1945 – World War II: Operation Carthage: Royal Air Force planes bomb Gestapo headquarters in Copenhagen, Denmark. They also accidentally hit a school, killing 125 civilians. 1945 – World War II: Bulgaria and the Soviet Union successfully complete their defense of the north bank of the Drava River as the Battle of the Transdanubian Hills concludes. 1946 – The Los Angeles Rams sign Kenny Washington, making him the first African American player in professional American football since 1933. 1952 – Alan Freed presents the Moondog Coronation Ball, the first rock and roll concert, in Cleveland, Ohio. 1960 – Apartheid: Sharpeville massacre, South Africa: Police open fire on a group of black South African demonstrators, killing 69 and wounding 180. 1963 – Alcatraz Federal Penitentiary (in California) closes. 1965 – Ranger program: NASA launches Ranger 9, the last in a series of unmanned lunar space probes. 1965 – Dr. Martin Luther King, Jr. leads 3,200 people on the start of the third and finally successful civil rights march from Selma to Montgomery, Alabama. 1968 – Battle of Karameh in Jordan between the Israel Defense Forces and the combined forces of the Jordanian Armed Forces and PLO. 1970 – The first Earth Day proclamation is issued by Joseph Alioto, Mayor of San Francisco. 1980 – U.S. President Jimmy Carter announces a United States boycott of the 1980 Summer Olympics in Moscow to protest the Soviet–Afghan War. 1983 – The first cases of the 1983 West Bank fainting epidemic begin; Israelis and Palestinians accuse each other of poison gas, but the cause is later determined mostly to be psychosomatic. 1990 – Namibia becomes independent after 75 years of South African rule. 1994 – The United Nations Framework Convention on Climate Change enters into force. 1999 – Bertrand Piccard and Brian Jones become the first to circumnavigate the Earth in a hot air balloon. 2000 – Pope John Paul II makes his first ever pontifical visit to Israel. 2006 – The social media site Twitter is founded. 2009 – Four police officers are shot and killed and a fifth is wounded in two shootings at Oakland, California. Year 537 (DXXXVII) was a common year starting on Thursday of the Julian calendar. At the time, it was known as the Second year after the Consulship of Belisarius. The denomination 537 for this year has been used since the early medieval period, when the Anno Domini calendar era became the prevalent method in Europe for naming years. Vitiges or Witiges was king of the Ostrogoths in Italy from 536 to 540. The Aurelian Walls are a line of city walls built between 271 AD and 275 AD in Rome, Italy, during the reign of the Roman Emperors Aurelian and Probus. They superseded the earlier Servian Wall built during the 4th century BC. 1968 – Gary Walsh, English football coach and former footballer who is the goalkeeping coach for Aston Villa. Year 927 (CMXXVII) was a common year starting on Monday of the Julian calendar. Emperor Taizu of Song personal name Zhao Kuangyin, courtesy name Yuanlang, was the founder and first emperor of the Song dynasty in China. He reigned from 960 until his death in 976. Formerly a distinguished military general of the Later Zhou dynasty, Emperor Taizu came to power after staging a coup d'état and forcing Emperor Gong, the last Later Zhou ruler, to abdicate the throne in his favour. Year 1425 (MCDXXV) was a common year starting on Monday of the Julian calendar. Year 543 (DXLIII) was a common year starting on Thursday of the Julian calendar. The denomination 543 for this year has been used since the early medieval period, when the Anno Domini calendar era became the prevalent method in Europe for naming years. Year 547 (DXLVII) was a common year starting on Tuesday of the Julian calendar. The denomination 547 for this year has been used since the early medieval period, when the Anno Domini calendar era became the prevalent method in Europe for naming years. 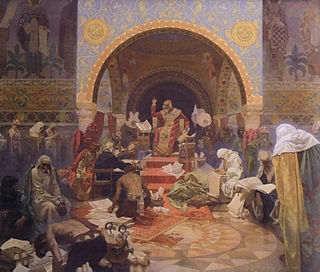 Benedict of Nursia, a Christian saint, is venerated in the Roman Catholic Church, the Eastern Orthodox Church, the Oriental Orthodox Churches, the Anglican Communion and Old Catholic Churches. He is a patron saint of Europe. 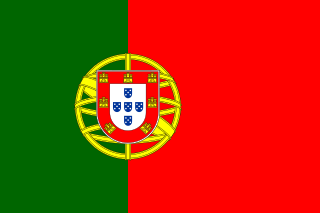 Portugal, officially the Portuguese Republic, is a country located mostly on the Iberian Peninsula in southwestern Europe. It is the westernmost sovereign state of mainland Europe, being bordered to the west and south by the Atlantic Ocean and to the north and east by Spain. Its territory also includes the Atlantic archipelagos of the Azores and Madeira, both autonomous regions with their own regional governments. Fiestas Patrias in Mexico originated in the 19th century and are observed today as five public holidays. Saint Benedetta Cambiagio Frassinello was an Italian Roman Catholic professed religious and the founder of the Benedictine Sisters of Providence. Frassinello married to appease her parents in 1816 but the couple decided to lead a chaste life and both pursued a call to the religious life with Frassinello joining the Ursulines in Capriolo at Brescia. But husband and wife later reunited after setting out to establish schools all for the education of girls and the pair moved back to Genoa where she founded her order in 1838 based on the Benedictine charism. April 6 is the 96th day of the year in the Gregorian calendar. 269 days remain until the end of the year. December 18 is the 352nd day of the year in the Gregorian calendar. 13 days remain until the end of the year. December 6 is the 340th day of the year in the Gregorian calendar. 25 days remain until the end of the year. June 21 is the 172nd day of the year in the Gregorian calendar. 193 days remain until the end of the year. July 27 is the 208th day of the year in the Gregorian calendar. 157 days remain until the end of the year. May 13 is the 133rd day of the year in the Gregorian calendar. 232 days remain until the end of the year. May 14 is the 134th day of the year in the Gregorian calendar. 231 days remain until the end of the year. November 22 is the 326th day of the year in the Gregorian calendar. 39 days remain until the end of the year. November 5 is the 309th day of the year in the Gregorian calendar. 56 days remain until the end of the year. November 7 is the 311th day of the year in the Gregorian calendar. 54 days remain until the end of the year. October 28 is the 301st day of the year in the Gregorian calendar. 64 days remain until the end of the year. October 10 is the 283rd day of the year in the Gregorian calendar. 82 days remain until the end of the year. October 5 is the 278th day of the year in the Gregorian calendar. 87 days remain until the end of the year. October 15 is the 288th day of the year in the Gregorian calendar. 77 days remain until the end of the year. September 16 is the 259th day of the year in the Gregorian calendar. 106 days remain until the end of the year. September 14 is the 257th day of the year in the Gregorian calendar. 108 days remain until the end of the year. September 5 is the 248th day of the year in the Gregorian calendar. 117 days remain until the end of the year. September 26 is the 269th day of the year in the Gregorian calendar. 96 days remain until the end of the year. September 25 is the 268th day of the year in the Gregorian calendar. 97 days remain until the end of the year. April 4 is the 94th day of the year in the Gregorian calendar. 271 days remain until the end of the year. ↑ Heinze, Rudolph W. (1993). "'I pray God to grant that I may endure to the end': A New Look at the Martyrdom of Thomas Cranmer". In Ayris, Paul; Selwyn, David. Thomas Cranmer: Churchman and Scholar. Woodbridge, Suffolk, UK: The Boydell Press. p. 279. ISBN 0-85115-549-9. ↑ Roulhac Toledano. A Pattern Book of New Orleans Architecture. Pelican Publishing. p. 157. ISBN 978-1-4556-1017-4. ↑ "Devastation at blast site after China chemical plant explosion leaves 47 dead, 640 injured". South China Morning Post. Retrieved 2019-03-23. ↑ "Biography President". Brazil Government. Retrieved 29 March 2019. ↑ Schiavone, Michael J. (2009). Dictionary of Maltese Biographies Vol. 1 A–F. Pietà: Pubblikazzjonijiet Indipendenza. pp. 339–340. ISBN 9789993291329. ↑ "Mike Hall: UK cyclist died instantly in race collision, inquest told". BBC News/World/Australia. Retrieved 2018-09-26. ↑ "Victor Hochhauser obituary". The Guardian. 2019-03-24. Retrieved 2019-03-25. Wikimedia Commons has media related to March 21 .